This last year sure has been weighty. A lot has happened in the big world, and in my own little world too, as, I'm sure, in yours. I hope your year has had joyful moments and peaceful times. I hope you have had good surprises and true inspiration, love in each day and books you could turn to, tasty food and beautiful vistas. May 2018 bring a more peaceful world for us all to write our stories in. A big part of 2017 for me has been writing. I accepted a job as a writer for We Are Teachers and began writing for Bored Teachers, The Teachers Pay Teachers blog, and Teachwriting.org as well. That's a lot of writing; luckily, I never get writer's block (fingers crossed). This blog is my favorite though. It's the place where I can be exactly me, and just talk right to you. In this post, you'll find a plethora of ideas for adding game-based learning to your classroom. Whether you're looking for a single new review game or an arsenal of engaging game options, this post has your back. When I began working on a piece for We Are Teachers this year about ways to use video in the classroom, I was stunned to discover how many great ELA Youtube channels are out there. It led me to create this post featuring the wonderful video collections I discovered. Run, don't walk! You don't want to miss these. When I was in Bulgaria I wanted an easy way to share book recommendations with my students. I stumbled upon the motivational poster tool on the Big Huge Labs site. It's free and easy, and this post walks you through how to use it to create photo-based book posters. 7. Can New Teachers be Happy? Get the Hacks! That first year is both unbelievably engaging and so rough. I will always remember looking out my office windows at the late night sky, then waking up before the sun to prepare things for my classroom. This post takes a look back at the things I wish I knew in that first year. If you want to give students an easy way to think critically and stay engaged during lectures and presentations, sketchnotes is your new best friend. This is one of my personal favorites of the year, and I've begun using the technique myself whenever I can. Figuring out how to run a good discussion is hugely helpful for any ELA teacher. In this post, I take a look at one discussion that went well and share all the strategies that I used from a decade of experience to help things flow smoothly. This post gets at an issue that many of us face as English teachers. Our discipline gives students many opportunities to share personal stories through writing and discussion. As we get to know them in and out of class, we want to be there for them, but it is not easy. In this post I share a little about my own journey when it comes to talking about life with my students, and give some ideas to make it easier for you. I had so much fun interviewing Emily Aierstock from "Read it. Write it. Learn it." about her use of escape rooms in class. This hot new strategy is a blast, and it only takes a little time to get the hang of how to set up an escape room. If you are looking to engage students on just about any material, escape rooms are a great option. If you're on an internet treasure hunt for great free materials, strategy articles and resources, this post is your treasure map. I hunted long and hard to find a big selection of the best. The struggle is real. Why on earth would students show up with their best foot forward for hours and hours of boring testing that doesn't affect their grades? This post shares a variety of strategies you can use to help students stay engaged with the testing, since their best effort can help your school. 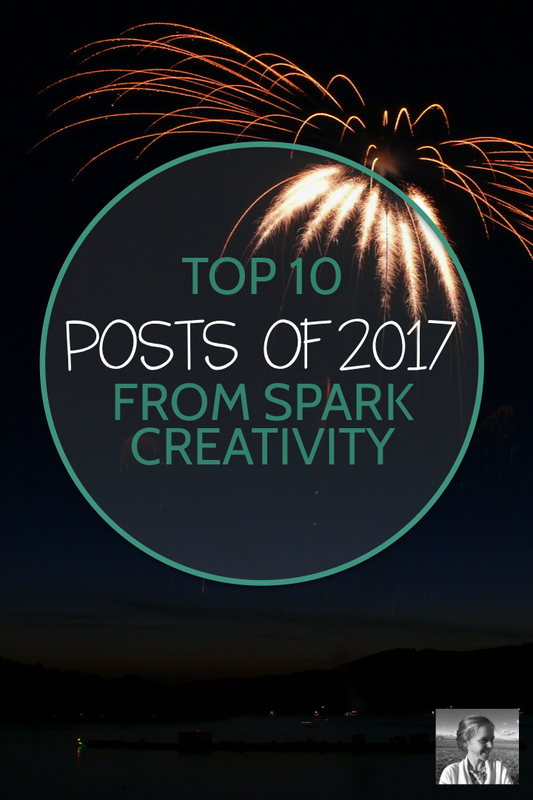 This post has received quadruple the visitors of any other post this year, so if you haven't read it yet, you might want to take a look! What has been one of your favorite new strategies or sources of inspiration this year? Hop on over into my free Facebook group, Creative High School English, and join over a thousand other creative teachers in an ongoing positive conversation about great teaching. I love helping English teachers innovate. If you're looking for someone to help you find the latest and greatest creative methods to empower your students, you've come to the right place. Ready for One Pager Success? Get four free templates with complete instructions when you sign up today.